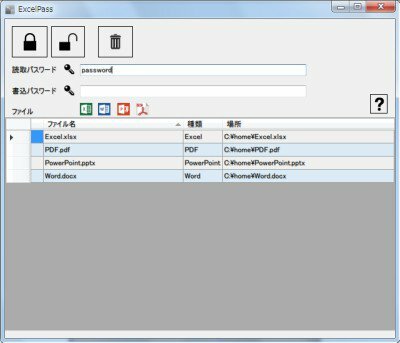 ExcelPass is the software to quickly set and clear the password to Excel files as well as Word files, PowerPoint files, PDF files and Zip files. But You can not open the file the password is not known. Download the installer (.zip archive) and uniextract. 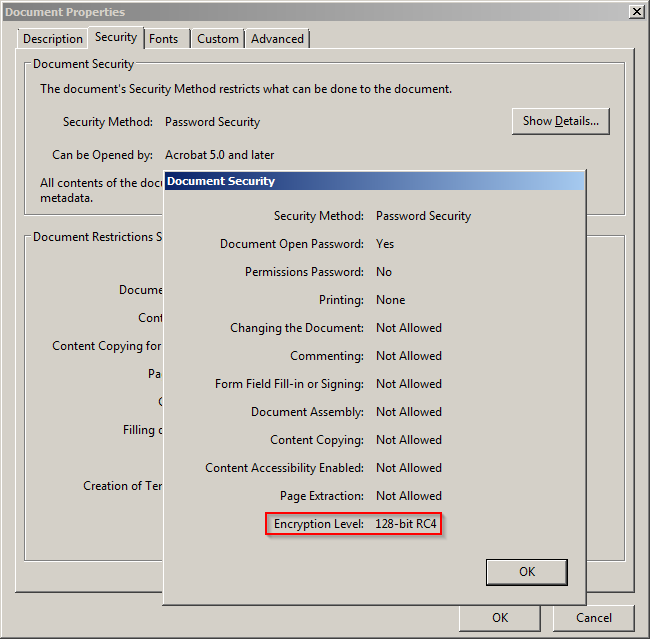 Run ZIPs separately - Avoid using ZIP files with other file types as the ZIP format only accepts READ passwords and has no facility to prevent WRITE. This is just something in the way ZIP files are and has nothing to do with ExcelPass. Password length - It gave an error message on a 20-character password but I got up to 16 characters without issue. Read protection note - I tested out the PDF edit prevention and it seemed to work pretty well, although I don't generally trust mechanisms like that. Again, this has nothing to do with the program but PDF and Microsoft Word security generally. They're a bit like movie and music DRM; you're just making it annoying but not impossible to edit. Only Basic Security - I definitely wouldn't use any of this for bank records or other critical data but for basic security or a second layer of protection, this is excellent. 7zip or VeraCrypt is probably ideal for high security needs. If I'd known of a way to (in batch) add passwords to Microsoft Word documents, I would have used that feature much more frequently. License: multiple open licenses: main program is MIT, iTextSharp is Affero GNU Public License and SharpZipLib is GPL. I'm a little unclear if an MIT program can contain a GPL program but whatever. ExcelPass has been added to the database. Although I admit that the security this program uses is far from foolproof, it's a very positive step. As someone who's been using encryption tools for years, the only thing I've ever been able to get anyone to use is a ZIP file with an agreed-upon password. Hopefully this program will help improve that. However, (on my Win 7 32 bit with .NET Framework 4.0) I have tried to drag and drop doc/x xls/x files and nothing happens... Am I missing something? spicydog wrote: However, (on my Win 7 32 bit with .NET Framework 4.0) I have tried to drag and drop doc/x xls/x files and nothing happens... Am I missing something? So I did some digging to try and figure out what strength encryption ExcelPass is using, specifically the PDF component. Unfortunately there's a 128 RC4 setting used by Acrobat 6 and later (PDF 1.5) https://helpx.adobe.com/acrobat/using/s ... words.html which is not ideal. RC4 has known weaknesses. It looks as if the encryption offered by ExcelPass will keep out 95% of attackers, but the remaining 5% (basically those with some technical skill) will be able to get in with their eyes closed. A much more secure solution is available by saving to 7z format with a long password, but of course not everyone uses 7zip. Last edited by webfork on Sun Aug 21, 2016 12:43 pm, edited 1 time in total. 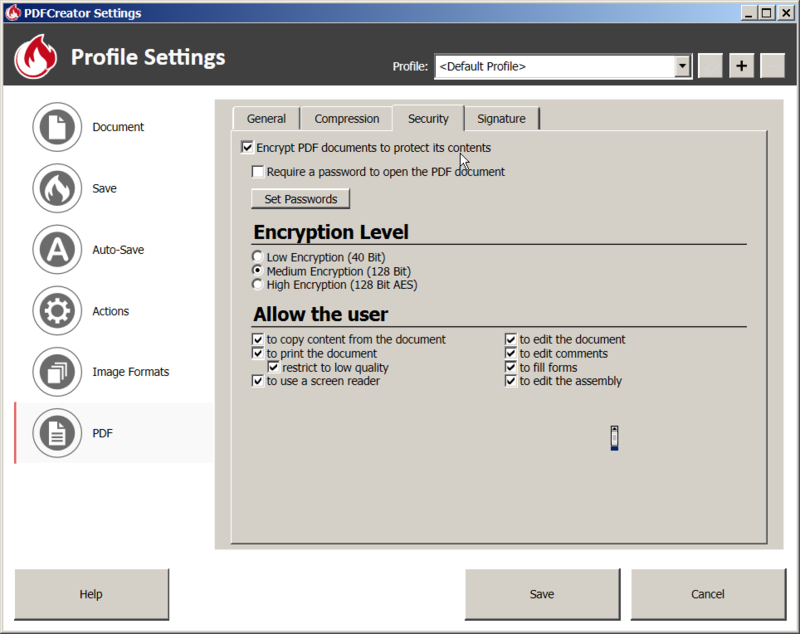 Out of curiosity, I went looking for tools that will enable higher-strength PDF encryption. The various PDFTK front ends offer some options for adding security (though only read protection). LibreOffice will also let you add a password to a PDF but it's not an viewer so much as a editor. It opens PDFs differently than other programs, making it a non-simple procedure. How-to Geek covers only some of this (Doc to PDF with a password). If I get a chance, I'll make a howto on this process. Unfortunately, all of these programs (according to PDF X-Change properties view) use 128-bit RC4. Again, it's probably adequate security but lacks protection in the long term or from a dedicated attacker. Last edited by webfork on Tue Apr 18, 2017 3:56 pm, edited 2 times in total. The program no longer functions on the latest version of Windows 10. Note added to entry. As the author doesn't appear to be doing anything further with the program, I point out another batch tool for adding PDF passwords: https://www.softpedia.com/get/Office-to ... pter.shtml The program is dotnet adware. ... like ExcelPass it uses an older, weaker encryption (RC4), but still adequate for most users.